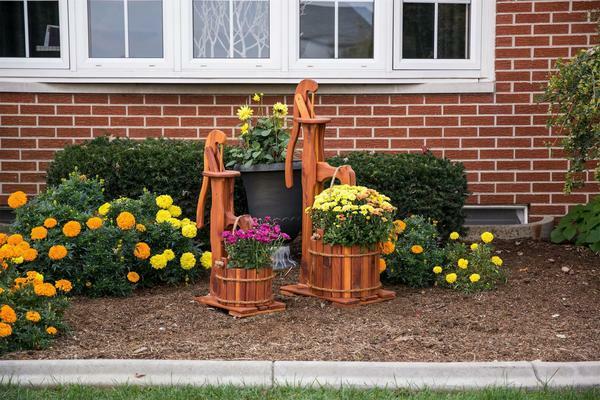 This cedar wood pump planter with bucket is built to order by authentic Amish craftsmen. This Amish wood shop is also well known for it's custom wood-burned designs. Please call us toll free if you would like a custom design or message on your pump-planter. You can also stop by our store in Sarasota, Florida.